Business description from prospectus - Sagar Diamonds is engaged in manufacturing and exporting of rough and polished diamonds procured from the trusted and certified suppliers and in jewelry making. We are also involved in trading of diamond and processing by trained and qualified workers on job work basis. Our product range includes rings, chain, mangalsutra, earrings and necklaces, which are carefully handcrafted by skilled artisans. We have our manufacturing facility at our factory unit located in Sachin (S.E.Z), Gujarat having a total area of approximately 1,000 sq. ft. As on March 31, 2017, this facility had a capacity of Gold and Silver Jewellery of 35,000 gram per month. 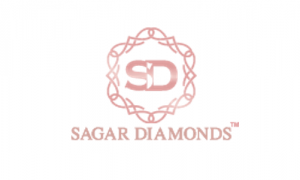 Sagar Diamonds IPO allotment status is now available on Bigshare Services' website. Click on this link to get allotment status.